IF you spotted a calf or five roaming the streets of South Grafton last night, you probably weren't seeing things. 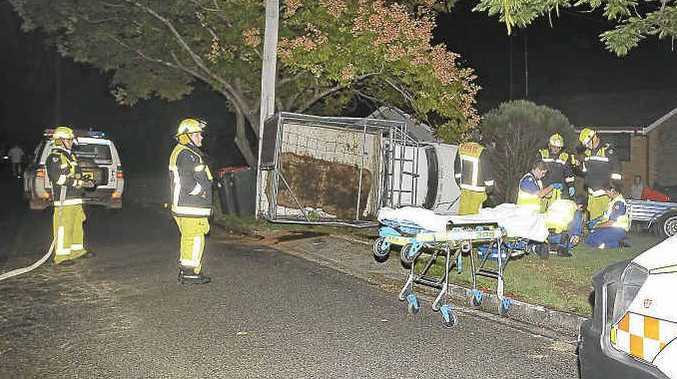 The bovine escapees found freedom when the ute they were being transported in flipped onto its side in Roberts Dr, South Grafton about 5.30pm. Residents near the crash scene said they saw the ute "flying" down Roberts Dr before it crossed to the right-hand side of the road, clipped a tree and flipped onto its side next to a telegraph pole. "The calves were running wild everywhere," one resident said. "I had to grab my dog and take it inside." Another resident said the hoof of one of the calves was trapped under the side cage of the ute so he helped release it. "It just bolted as soon as it was free," he said. The arm of the male driver, understood to be in his 50s, was stuck under the ute for a short time before residents and emergency workers helped release it, neighbours said. Other witnesses said the man had knocked down a metal bollard at a pedestrian crossing in Bent St some 400m away and dragged it into Roberts Dr. 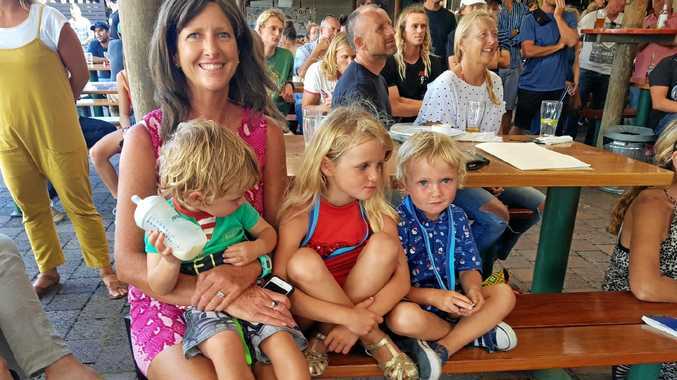 The man, who was conscious as he was being loaded into the ambulance, was heard by residents to express concerns about his licence as he lay on the grass. "I told him he could have had more than his licence to worry about, he could have been killed," one man said. South Grafton firefighters said they spotted a group of four calves on Rushforth Rd while other witnesses said one calf was in Tyson St. The extent of injuries to the man or his calves is unknown.